Even hairy, scary monsters need friends! This heartwarming tale of unlikely playmates features bright artwork and a sweet message from the author-illustrator of Hey, Presto! and Good Little Wolf. Deep in the forest lives the biggest, hairiest, scariest yeti anyone has ever seen. And he is also the loneliest yeti around. Then one day…THUNK! Someone lands on Yeti’s head. And that someone isn’t scared of Yeti at all. Could that someone be a friend? This fun story of fur, feathers, and friendship delights and inspires—a welcome reminder that friends can be found in even the most improbable places. 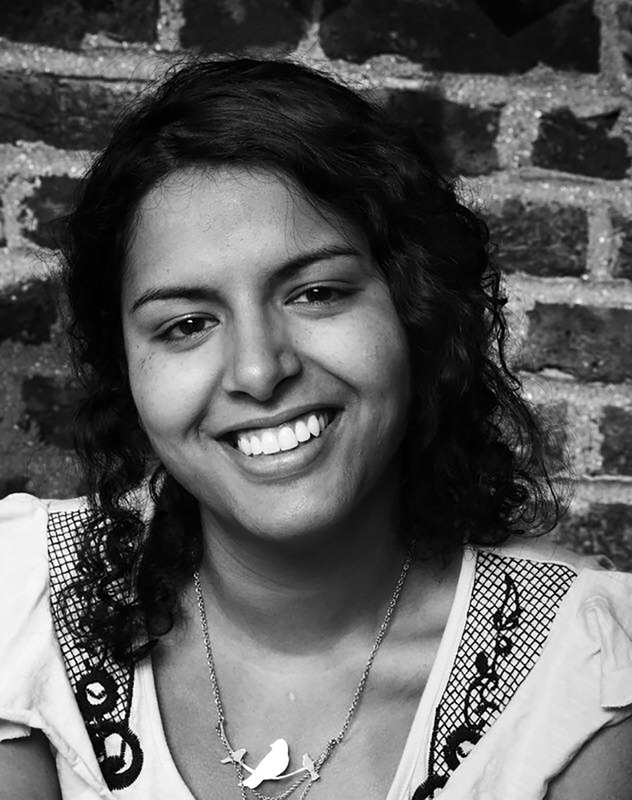 Nadia Shireen enjoyed making homemade magazines and comics as a child. After studying law and working in magazine journalism, in 2007 she stopped doodling in the sidelines and enrolled in an MA course in Children’s Book Illustration at Anglia Ruskin University, Cambridge. Her debut book, Good Little Wolf, received a mention in the Bologna Ragazzi Opera Prima Award, among many other honors. Nadia lives in London. "A tale about an unlikely friendship that changes a lonely life is not a new theme, but Shireen writes with admirable restraint and fills in the narrative gaps with engaging illustrations. Her double-page spreads create potent atmosphere with carefully placed strong shapes and forthright color. Spot illustrations effectively convey easy-to-understand action and humor. Striking visuals that combine compelling use of shape, page design and color successfully carry this version of an oft-told story." "A huge white yeti is lonely but not alone.... Yeti is an exceptionally appealing character with his small head, tiny eyes, and great hairy body. In the first of many wonderful spreads, he is depicted as mountainlike. 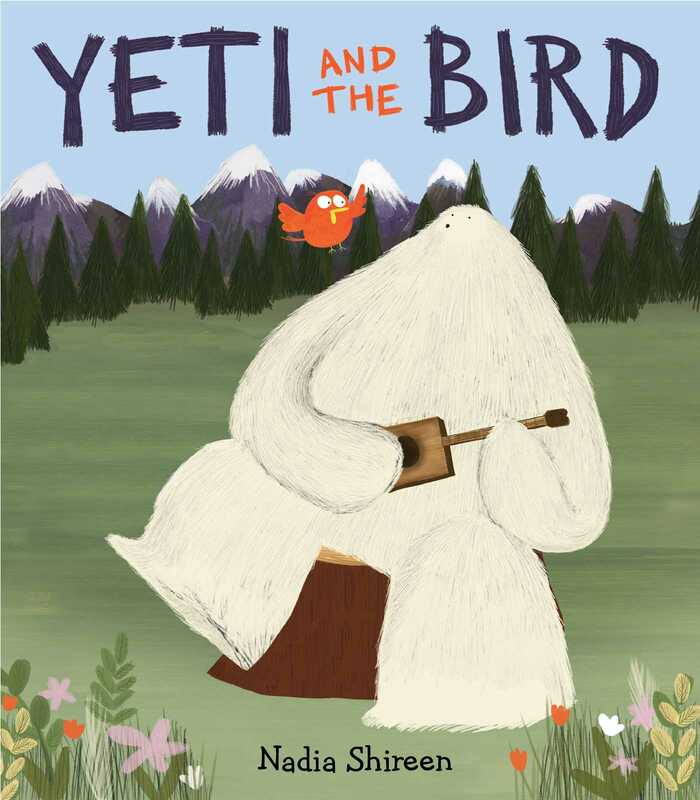 Just as the orange bird brightens Yeti’s world, these two will warm the hearts of young readers. Told with exceptional economy and striking art, this tale of an unusual friendship is a great choice for all libraries." "Shireen['s]...appealing Yeti is well worth getting to know." "Little ones will be charmed by this sweet and silly story of friendship."